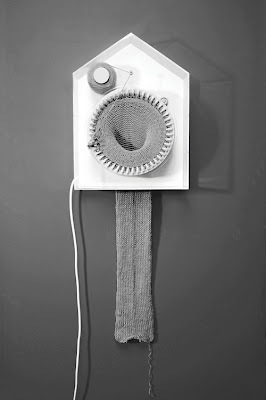 It's a knitting clock!!! It knits as it goes around and after a year you have a scarf! You can read a whole article about this clock HERE. It's worth checking out just for the awesome pictures!!! Happy Thanksgiving Jaime. Hope your Grams is doing better too. Blessings to you and your's. Thanks Piper! Happy Thanksgiving to you too!!! My Grams seems to have perked up for the party today, so it was a very good day! She's got some more tests tomorrow, so hopefully we'll be able to figure out why she's feeling so poorly pretty soon. Candidates are requested to visit the page regularly in order to remain updated about the upcoming details and dates of Railway Group D Admit Card for First Stage of CBT Exam.